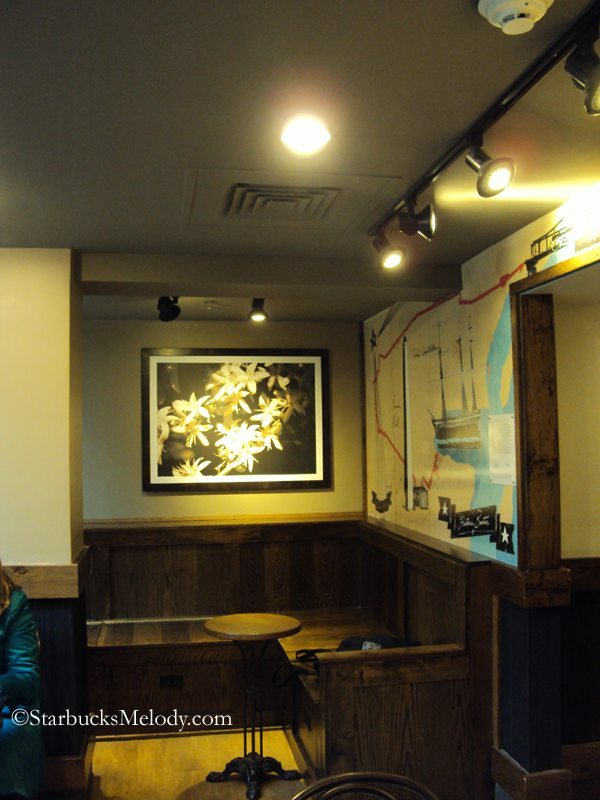 The next Clover Starbucks is located at 27 School Street, in Boston, Massachusetts. I dropped by on March 28, 2012, and had a great time meeting the store manager, Edward, whom I learned is a 10-year partner! 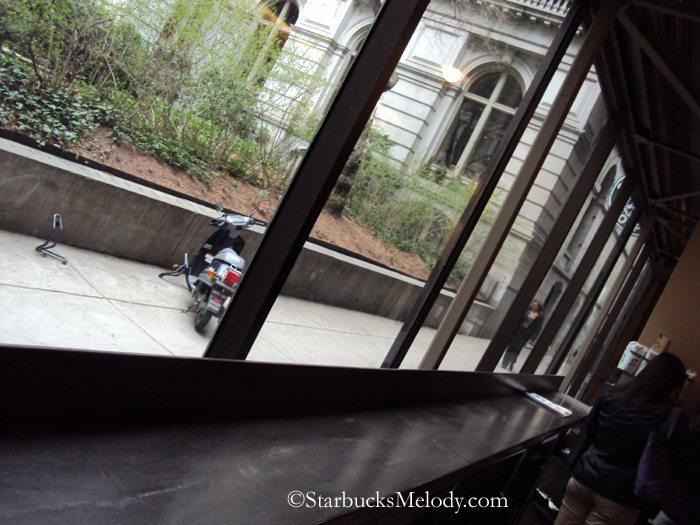 This Starbucks is right on the “Freedom Trail” walking tour of Boston, and is adjacent to a gorgeous old building called “Old City Hall.” The store has a nice view out the window facing the Old City Hall. Just as an aside, in my book, Boston is one fabulous place to take a vacation. 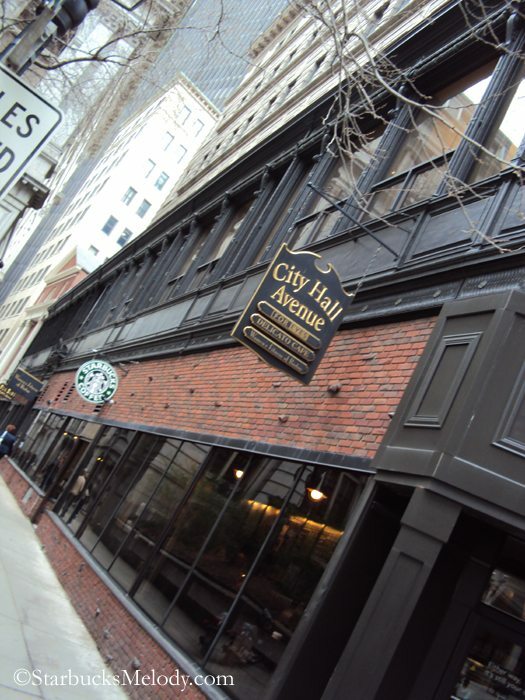 I’ve taken a few trips out to Boston and always return home feeling totally rested and relaxed. I love it. It’s easy to get around by the T. It’s fantastically beautiful. 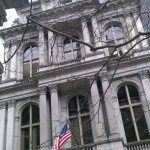 As I walked along Beacon Street on the way to 27 School Street Starbucks, the friend whom I was with pointed out that if you look at the old buildings, many have purple windows. The panes of glass are original from the 18th century, and from 200+ years of aging, now have a purple hue to them. 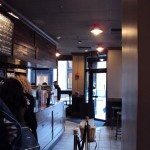 I arrived at 27 School Street Starbucks at about 9:00 a.m., having just come from the One Charles Street Starbucks. I had some difficulty getting good photos, as this is a very busy store. There were long lines during almost my entire visit. And usually most seats were taken. 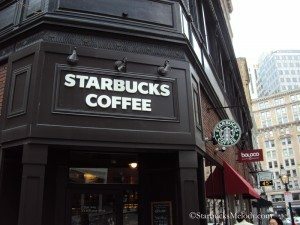 This Starbucks added their Clover at the end of September 2011, so it is a little newer in terms of having the Clover brewer. The original opening date of this store was April 27, 2000. 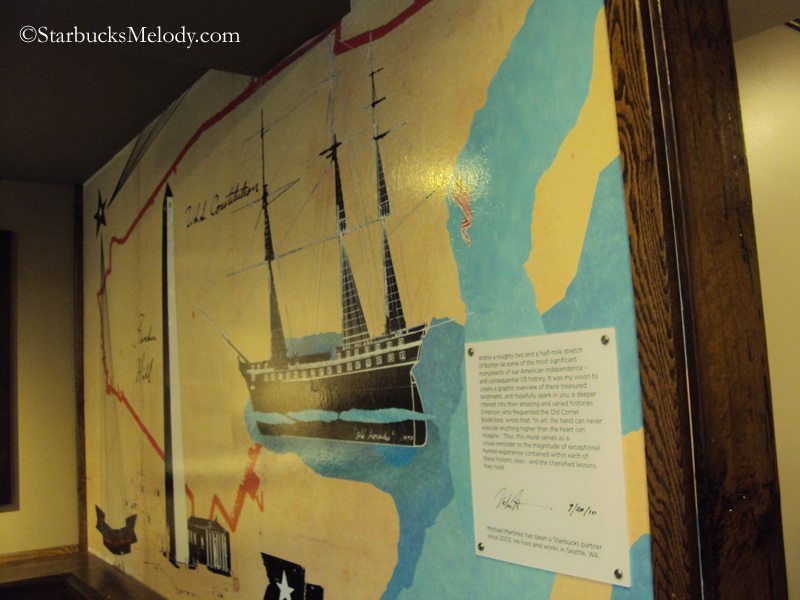 This store has a great mural depicting The Freedom Trail on a large wall in the main seating area. My understanding is that a partner at the SSC created it. I should have taken a photo of the wall signage about the mural which had information about the artist. This store easily gets a two thumbs up from me. 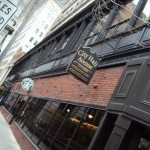 Drop by if you’re in Boston, and especially if you’re walking the Freedom Trail! 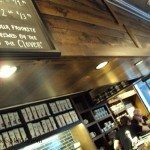 Starbucks survey receipts get rid of free drink - Now $1 off next purchase. Teacher Appreciation card coming soon. 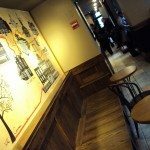 The Extraordinary Downtown Disney Starbucks! Thanks Melody for all these Boston area reviews. 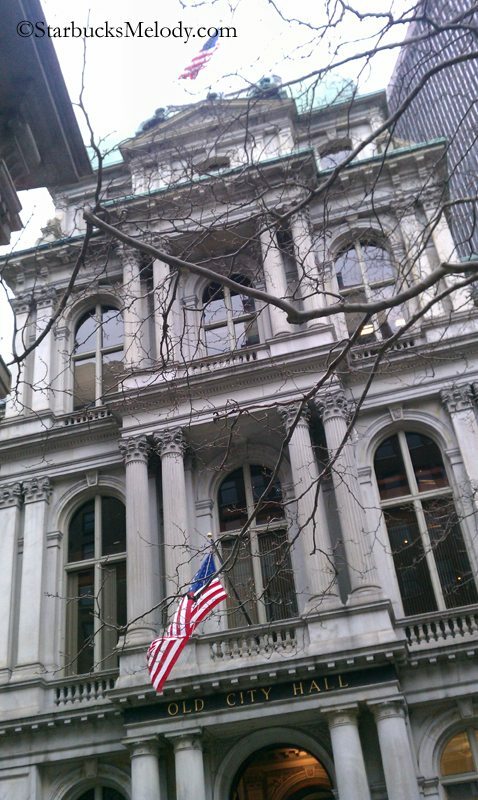 And happy Patriots day to all the Boston partners and readers. Nice to see another store once again! 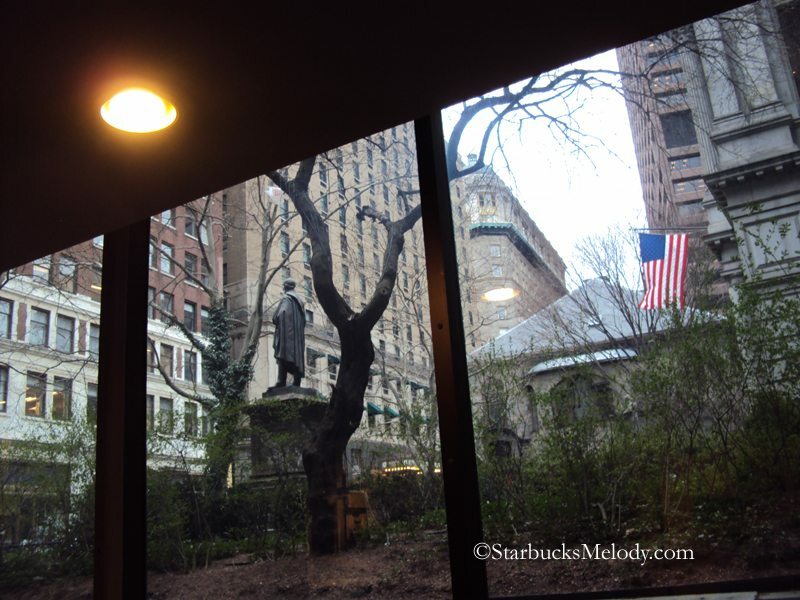 I love the view out the window toward the old city hall….very cool with the flag. As you referred to, very busy so you couldn’t get too many pics inside the store so can’t really comment on the inside so much…the mural is great. Thanx for the tour…. Super review of this store feel like I am there! 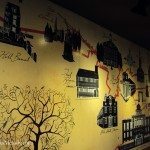 Curious as to the connection of the SSC partner with this store that he or she did the mural? This is a test. This is just test: I know that every weekend my numbers drop and feels like people aren’t reading the comments. (That’s true btw of almost all blogs – M to F traffic is much higher than Sat & Sun). 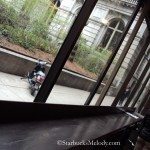 The next 10 people who leave a quality comment on THIS blog article, I’ll send you a $5 gift card. No key words in your comment name. No spam. No link dropping. No “thanks for sharing” only. $5 gift card giveaway ends on April 15, 2012, at 6:00 pm PST. Melody the reason I find it interesting that someone from SSC did the mural is because we all know that there are so many talented local partners that I am sure if asked would have done a mural. The other side of that is that being local they would have an investment in making the mural terrific. Also, curious what was the breakdown of tourist vs. business folks at this location. 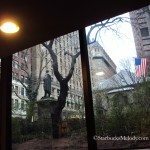 I have done the Freedom Trail and know it is popular. Saw your tweet! Anyway, maybe I’m just slow but it wasnt obvious to me how to read the comments section. I saw older posts where I could read the comments but I couldnt figure out how to see the comments section on the new blog posts. Most blogs I read have a comment link at the end of a post or an abbreviated post with a ‘click for more’ where the entire article is posted with comments. do you know if they offer the same clover selections at every store? 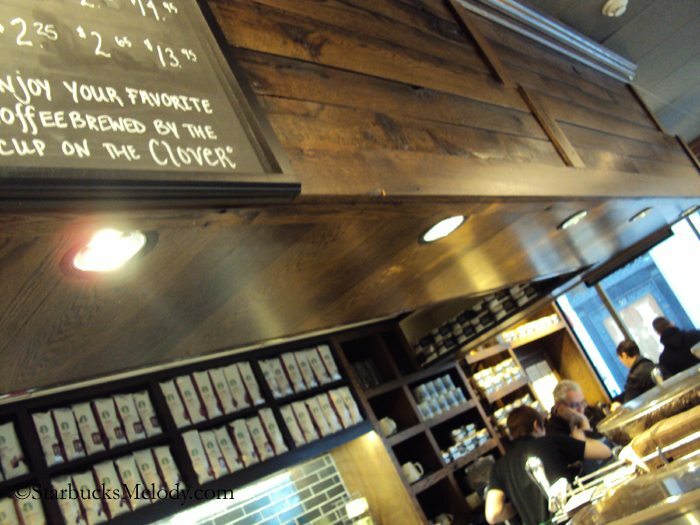 I love seeing Clover stores, I’ve only had the chance to try a clover cup of coffee once and it was incredible! I appreciate your love for coffee–I had some Anniversary Blend this morning, thought about getting the french press out but just went for the coffee maker which was good too! Hope your weekend is great! This store has great character! I love the outside and feel of the store from the outside. Of course I’m envious of the clover but I bet it fits the cliental well. I’m can see them selling a lot of brewed coffee to those on the way to work! 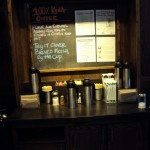 One of the things I really like about the Clover stores are the chalk boards for the coffees. 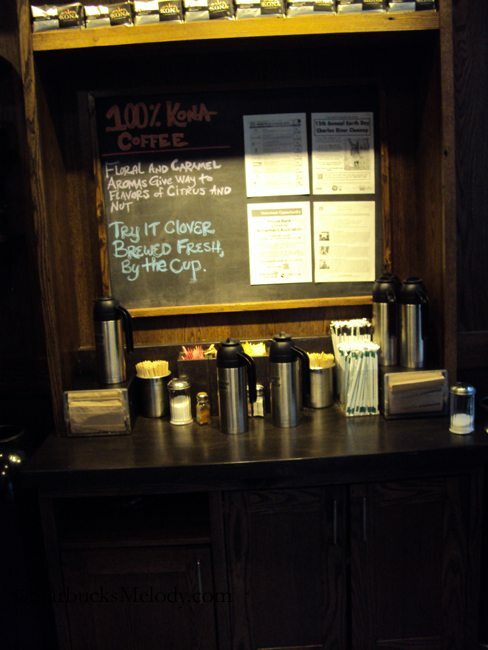 It would be nice to see more chalkboards in stores. 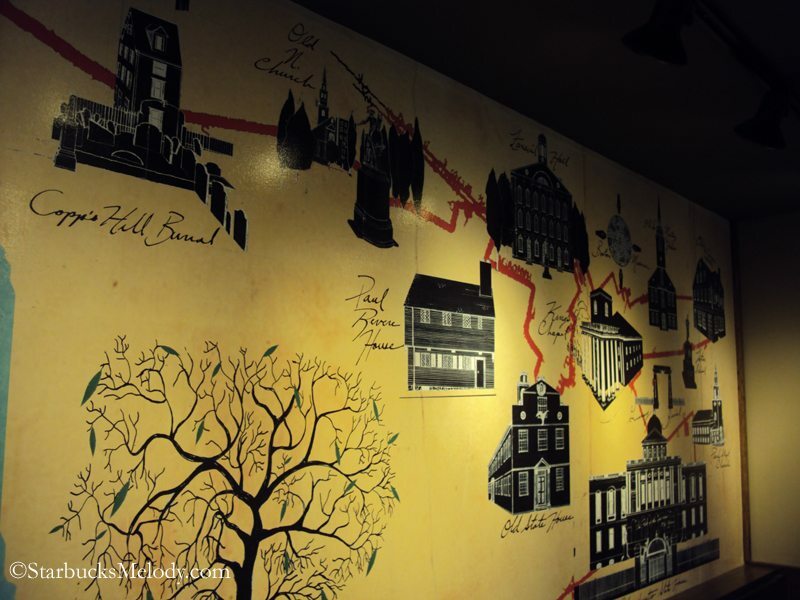 Your recent chalk art contest shows there is a lot of talent in the stores that could put the boards to good use and there truly is something about seeing the menu offerings on a chalk board instead of on a printed piece of cardboard. kind of disturbs me all the time when people that I rarely see here, are immediately commenting or doing whatever necessary when you offer something up. There’s no “loyalty” there. It’s “the contest”. slays me. 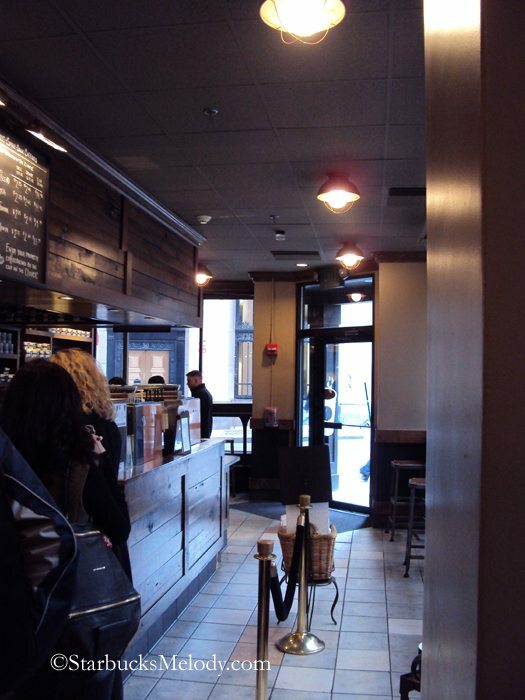 As much as I love these store visits blog posts…they make me a bit sad too. I want a beautiful store in MY TOWN. LOL Ours looks generic cookie cutter boring compared to these with rich woods, built in shelving, chalkboard bulletin boards and even the store you showed with the chandelier. It makes me love the planning and beauty that went into the design and makes me jealous that our store will never have that character. 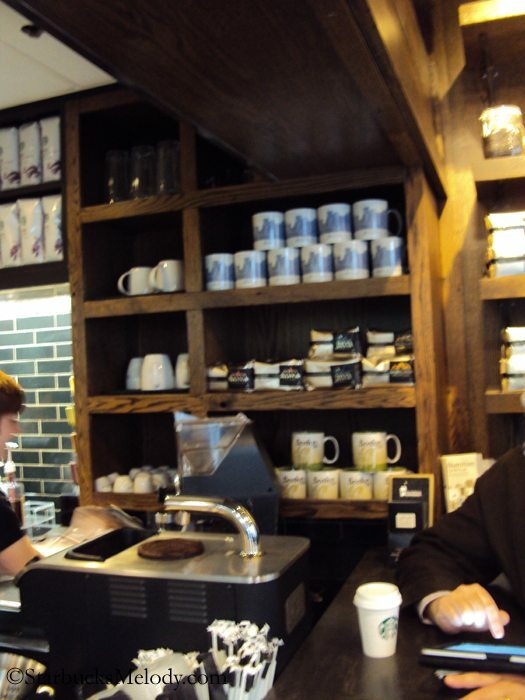 It is about the coffee and the people but the setting being beautiful too DOES count! @Sandra Trolinger – I know what you mean. I live in the suburbs and we have a lot of cookie cutter stores. I do like how they try to incorporate some local elements in the redesign, but the buildings are all new buildings. 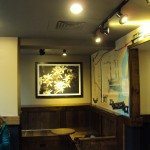 However, that said, I was in Palatine (a Chicago suburb) on Friday and the Starbucks at the train station is quite unique and nice. Lots of outside seating and was a nice day for sitting outside. 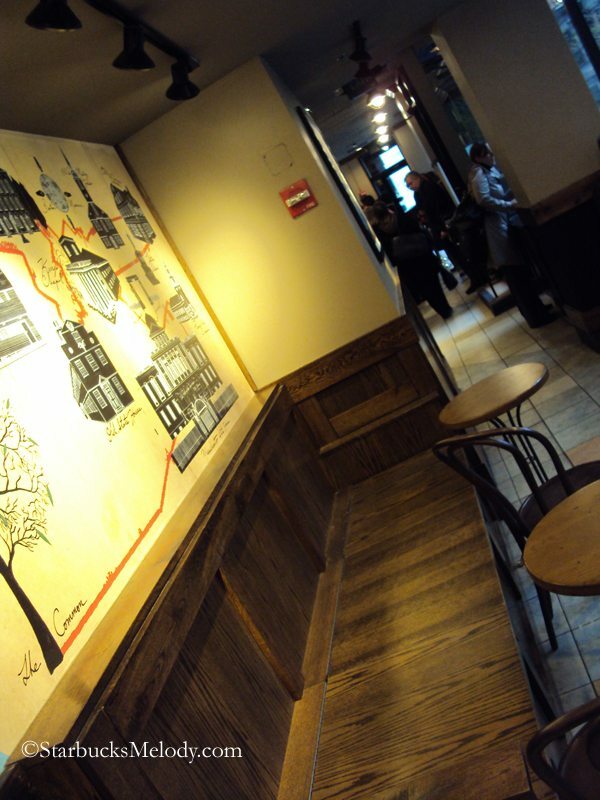 You don’t see many train stations with an actual Starbucks in them here in the Chicago area. 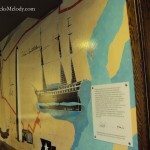 @denise r – have you been to the Palatine train station store? Wow! That store is absolutely gorgeous! It looks like a place where I could just take a seat and probably spend the day and people watch. The store is a perfect fit for that location. I have a feeling that I may be guilty of the Monday – Friday traffic. I did not even see this post until this morning and it appears that the notification hit my inbox about 2:30 yesterday afternoon.